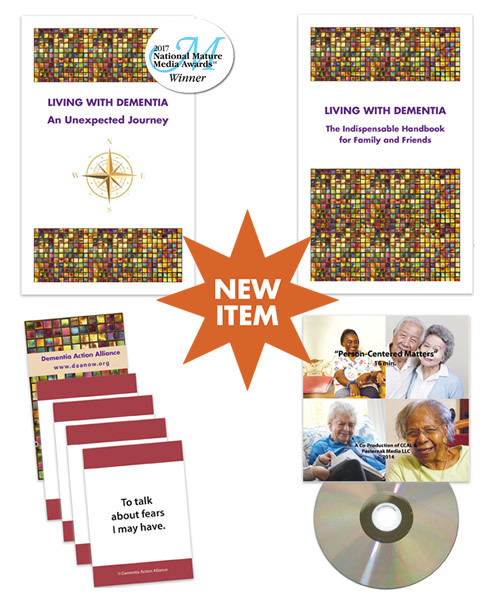 The Caring Conversations Toolkit is a helpful and unique set of tools for living life with dementia developed by people with dementia and care partners. 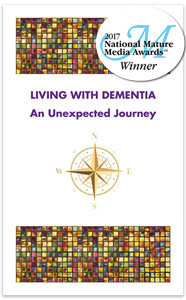 There is an abundance of information available about cognitive and functional changes that can occur with dementia, including Alzheimer’s, but there is very little information about LIVING life with dementia. 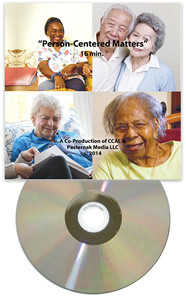 The items in the Caring Conversations Toolkit provide helpful information and are guides of hope, enlightenment and inspiration. The booklets include copies of original artwork generously provided by people living with dementia and their care partners from the collaborative collection of the South Yorkshire Dementia Creative Arts Exhibition led by David Reid and the Greater Michigan Dementia Creative Arts Exhibition led by John Wood. Buy the toolkit and get a discount plus free shipping, an overall savings of 16%! The toolkit contains the following items which are also available for individual purchase. I’m a person living with Dementia and I find the Caring Conversations Toolkit is extremely beneficial, both for me as well as for my family. The Conversation Cards are my favorite for they actually DO start conversations that aren’t usually brought up in everyday conversations. It opens a door to much-needed conversations. There s so much more inside the toolkit I’m sure would help you as much as it helped me. You really should check it out! I was thrilled to receive the “Caring Conversations” toolkit. There are many tips and tools for caregivers to use with family and friends to help our loved ones. This toolkit has been EXTREMELY beneficial for me in opening some doors and letting our family “walk through” them…..as well as assisting in beginning the “tough” conversations. None of us can be successful without effective communication. It helps greatly to have a resource for this journey. And of course, I love all of the artworks! Many pieces were submitted by my spouse and colleagues. The art is poignant, thought-provoking, and meant to be a part of the discussion. Bravo DAA for putting this together! I love the “Caring Conversations” toolkit and recommend it for anyone who has just gotten a dementia diagnosis or who loves someone with the diagnosis. It’s beautifully presented and doesn’t overwhelm with too much information (like so many of the “toolkits” and self-help books available today). The art is lovely and important, since through the arts so many people with dementia can demonstrate their strengths and receive joy from creative engagement. 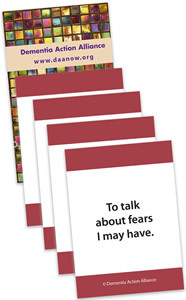 I haven’t used the cards yet, but they’re a great resource and I’m eager to try them. They’re based on a well-respected approach to understanding other people that’s been around in Psychology for a long time (the Q-sort method). I also like the video very much. Thank you DAA for developing this toolkit. I hope it will be widely used.